SKU: JF483. Categories: Single Herbs, Seeds & Grains, Products Beginning with "F". Tags: bloating, digestive, flatulence, flavours, herbs, IBS, infusion, insect repellant, Leaf, medicinal, tea, traditional, wind. 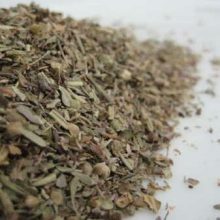 Fennel Seed is harvested from a species in the genus Foeniculum (treated as the sole species by many botanists), and is native to southern Europe (especially the Mediterranean) and southwestern Asia. 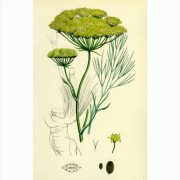 It is a member of the family Apiaceae, formerly the Umbelliferae. 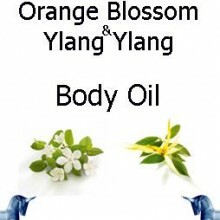 It is a highly aromatic perennial herb, erect, glaucous green, and grows to 2 m tall. The leaves grow up to 40 cm long; they are finely dissected, with the ultimate segments filiform, about 0.5 mm wide. The flowers are produced in terminal compound umbels 5.5 cm wide, each umbel section with 2050 tiny yellow flowers on short pedicels. 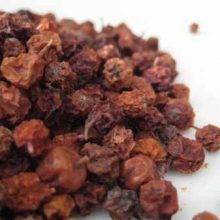 The fruit is a dry seed from 49 mm long, half as wide or less, and grooved. 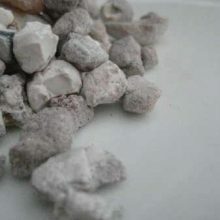 It is widely cultivated both in its native range and elsewhere of for its edible, strongly flavoured leaves and seeds. 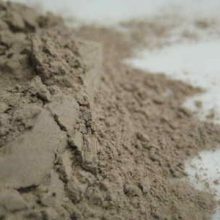 The flavour is similar to that of anise and star anise, though usually not so strong. Fennel has become naturalised along roadsides, in pastures, and in other open sites in many regions, including northern Europe, Cyprus, the United States, southern Canada and in much of Asia and Australia. It propagates well by seed, and is considered an invasive species and a weed in Australia and the United States. 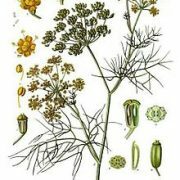 Florence fennel was one of the three main herbs used in the preparation of Absinthe, an alcoholic mixture which originated as a medicinal elixir in Switzerland and became, by the late 1800s, a popular drink believed by many to have psychoactive properties beyond those found in other alcoholic beverages. Due to these beliefs, Absinthe was banned in most countries by the 1940s, but a recent relaxation of laws governing its production, importation and sale has caused a moderate resurgence in consumption. Many modern preparations marketed under the name “Absinthe” do not, however, make use of fennel as did the traditional recipes. 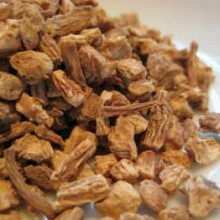 As an infusion it is gernerally used for wind and bloating and as a digestive for which is particularly effective – it will impart a faint anise like flavour to stews and casseroles and is used extensively in ickles. 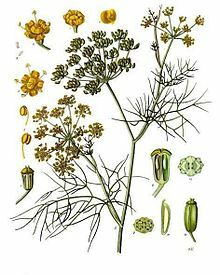 The word fennel developed from Middle English fenel, fenyl; Anglo-Saxon fenol, finol, from Latin feniculum, fniculum, diminutive of fenum, fnum, “hay”. In Ancient Greek, fennel was called μάραθον or marathon, and is attested in Linear B tablets as ma-ra-tu-wo. This is the origin of the placename Marathon (meaning place of fennel), site of the Battle of Marathon in 490 BC. 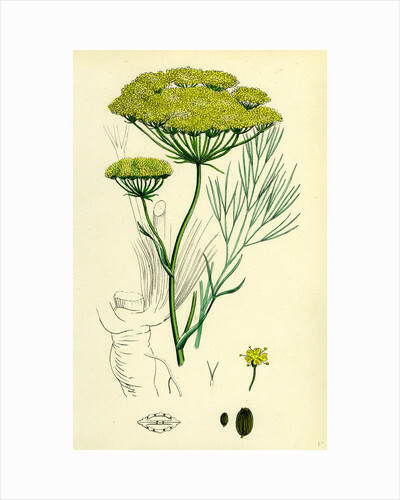 Greek mythology claims Prometheus used the stalk of a fennel plant to steal fire from the gods. 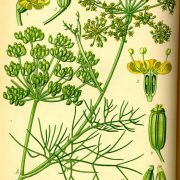 In medieval times fennel was used in conjunction with St John’s wort to keep away witchcraft and other evil things. 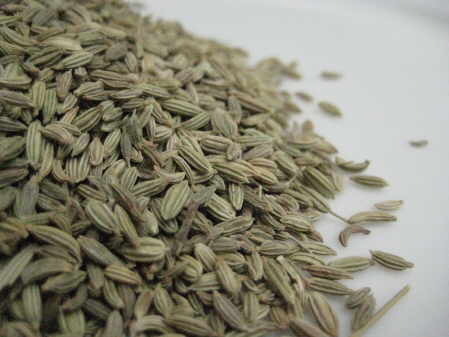 This might have originated because fennel can be used as an insect repellent. 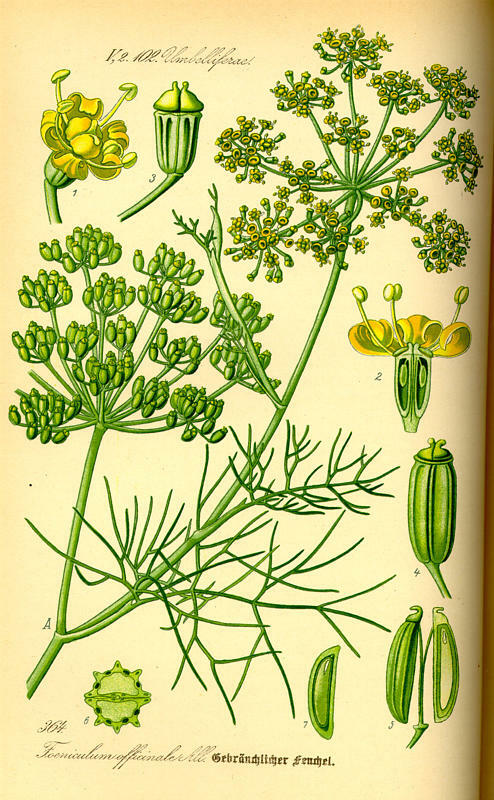 Fennel is thought to be one of the nine herbs held sacred by the Anglo-Saxons. 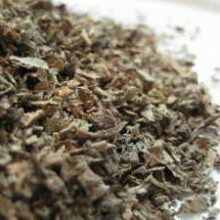 The other eight are not entirely certain, but were probably mugwort (Artemisia vulgaris), greater plantain (Plantago major), watercress (Nasturtium officinale), wild chamomile (Matricaria recutita), stinging nettle (Urtica dioica), crab apple (Malus sylvestris), chervil (Anthriscus cerefolium), and viper’s bugloss (Echium vulgare).